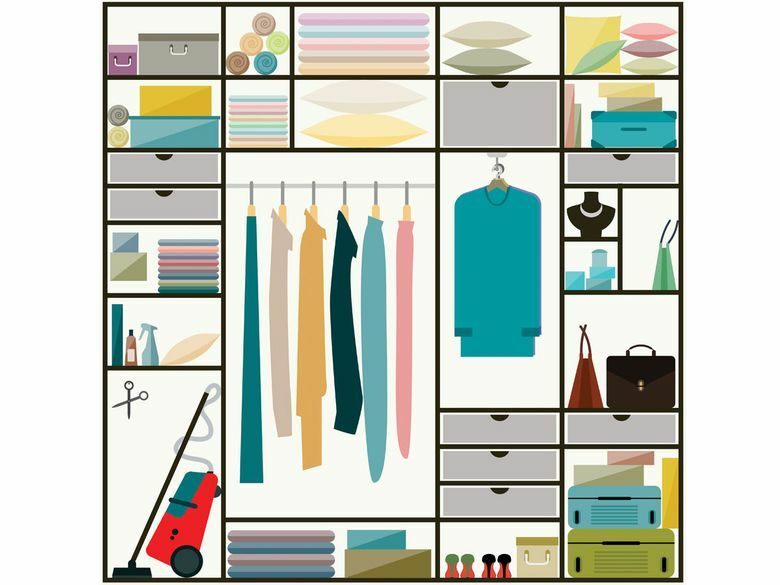 Get control of a messy closet with these 10 organizational tips and tricks. Let’s face it, closets can be messy. One of the main culprits is a lack of proper organization. When looking to create a closet that is organized and tidy, here are some tips to keep in mind. 1. Use boxes and bins. Use these organizational tools to keep small items sorted and easy to find. 2. Switch to huggable hangers. Use slim hangers, as opposed to those that are bulky, in order to maximize space. 3. Consider having your closet professionally “built.” There are many companies that can create custom drawers and shelves to help maximize a closet. These can range in price from relatively affordable to downright luxe. 4. Place shoes on racks or keep them in boxes. Shoes can take up a lot of space. While many people prefer to keep shoes stacked and in boxes, depending on the number of shoes you are looking to store, racks may be useful. 5. Consider utilizing a seasonal closet. Instead of having your closet filled with all of the clothing you own, store off-season items elsewhere, leaving your closet reserved for those items that are in-season and in use. 6. Employ both short and long hang bars. One key closet organization tip is to have an area to hang items that are short in length, such as shirts and jackets, as well as those that are longer in length such as coats, pants and dresses. 7. Hang winter coats in a single closet in the home. Winter coats can be bulky and take up space. One suggestion is to pick a single, underutilized closet within the home and use it for these items. 8. Purge! Each season do an edit of your closet and get rid of items you no longer need. 9. Institute a “one-in, one-out” rule. Just purchased a new white shirt? This is the perfect time to get rid of an old white shirt that may be worn, in need of mending or that may no longer fit. 10. Add light. In many instances, one of the main reasons why a closet may not be used to its fullest potential is because it is a dim, poorly lit area that is difficult to keep organized.